Entrepreneurship is more than being a big name or having a big platform. In reality, entrepreneurship is attitude, lifestyle, and mindset that once adopted, will result in success. To be an entrepreneur, take a different approach, one that focuses on creativity as opposed to conformity and action over inaction. As stated by entrepreneur James Altucher, your goal as an entrepreneur is not about becoming the next Twitter or Facebook or even starting an actual business, but finding things in your life that are challenging and then identifying creative methods for overcoming them. 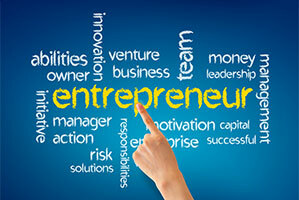 When you understand and adopt specific aspects of an entrepreneurial lifestyle, your life and business will be enriched. Commit to Your Dream—Letting go of a more traditional job is frightening. With that comes a sense of insecurity and uncertainty. However, if you want to be a successful entrepreneur, you need to be brave in reaching for your dreams. Putting the Customer on a Pedestal—Whether you’re a credit card processor or merchant who uses credit card processing services, the customer must have more value than you. Successful entrepreneurs share a common thread of being more concerned about customers and solving their problems than seeking fame for themselves. Continue Learning—As Richard Branson once stated, “I see life almost like one long university education that I never had, everyday I’m learning something new.” As an entrepreneur, your focus is on creating new products and finding innovative methods of doing things, which requires continual learning. This, coupled with curiosity, flexibility, and openness, will allow you to absorb a tremendous amount of information. Never Give Up—Although some succeed, most entrepreneurs fail the first time they try something new. If you have a dream, be prepared for dedication, hard work, focus, and most importantly, the idea that you can never give up. Failing Is an Opportunity—Instead of looking at failure as something bad, use it as an opportunity to learn and become better. When you’re embracing failure, it means you push the limits and you have the confidence of trying new things. Improve on Ideas—Just because something has been done before does not mean there is no room for improvement. By reinventing ideas, you have the ability to change the way that customers respond. In looking through history, you can see that ideas are reinvented all the time. A perfect example is ice cream. Ben & Jerry’s took an original concept and made it their own. Just as it takes a village to raise a child, it takes multiple people to achieve success as an entrepreneur. When you need help with ACH or check processing, online reporting, marketing, mobile applications, credit card authorizations and settlements, and more, never be afraid to reach out to a company like Chosen Payments.